Did you or your child hear about Lacrosse from a friend or at school? First off, Welcome to the New Mexico Lacrosse Community! You are in the right spot. 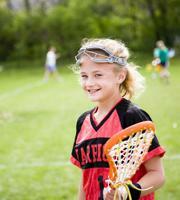 ABQ Youth Lacrosse provides the opportunity for Boys & Girls, ages 7-14 to play in our Youth Division. We also have both Men's and Women’s Teams in our High School Division. We even have something for adult aged players, The New Mexico Summer Lacrosse League. If you have a child that is interested in lacrosse regardless of age, youth or high school, have them check out one of our Free Lacrosse Instructional Clinics or come out to our "Come Try Lacrosse" Session in the Spring. Registration Links will be posted when available or keep checking our "Events" Calendar from time to time. No experience necessary, so please don’t be worried or intimidated by the more experienced players. Lacrosse is the fastest growing youth sport in the country right now and good portion of our players are brand new to the sport each year. To be as effective as possible and to provide the best experience for the children we group the players by age as required, but whenever possible, by skill level as well. This allows us to give more individualized attention to the newer children, while allowing the more experienced players to develop more advanced skills and Game IQ concepts.